Progress is painfully slow this week on the cross. Didn’t get as much time as I wanted, but I got a bunch done. Closing in on the center. Now I feel like I am making progress. At this rate, I doubt I’ll get it done by Easter. 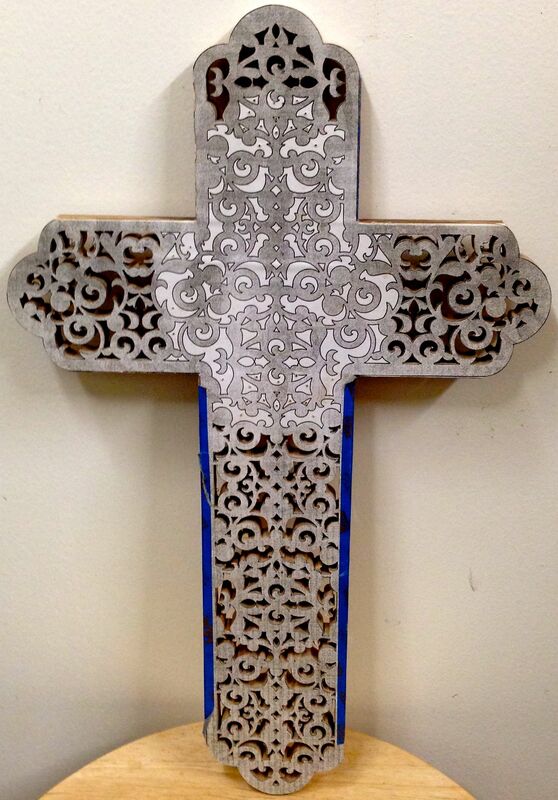 This entry was posted in woodworking and tagged filigree cross, fretwork, fretwork cross, scroll saw. Bookmark the permalink. 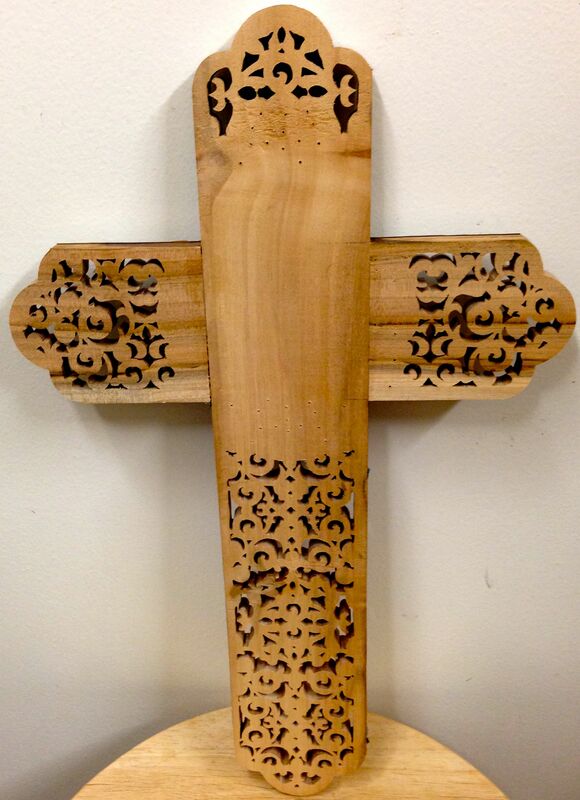 You know how I feel about your crosses – they are always magnificent! After I did the last one, I thought I was through making them, but turns out I still like making them. It is beautiful. When completed, I would be interested in knowing if you kept a log of how many hours it took to complete. No, I haven’t logged the number of hours on this one. The last one took about 50 hours. This is like to be just a little more since the wood is thicker and harder to cut. You’ve made a great deal of progress since I started following your blog. Hopefully you’ll finish it in time. We’ll see how much time I get this weekend.